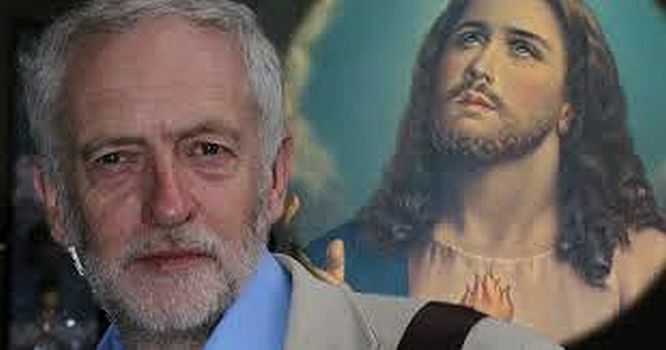 JC – Labour’s Second Coming? The Election pantomime in May produced a Government committed to making working people pay the costs of the bosses' crisis. They call it austerity - it really means benefit cuts, food banks, unaffordable housing and zero hours contracts. Of course, Labour's "Austerity Lite" simply guaranteed more of the same, with a vague promise of us all being hit at a different tempo. In Britain, like in the other democracies, elections and the occasional referendum are central to keeping workers trapped in the web of capitalism. In reality, we have no way of staying alive other than selling our ability to do work or receiving the crumbs available when no boss wants to use us. In Roman times, the rulers provided "bread and circuses" to distract the rest of the population. Every few years in 21st Century Britain the bosses' media bombards us with the circus around the election to Parliament. The core illusion is that somehow the choice of political parties is allowing people a degree of control. Like all the best lies that one "can be halfway round the world before the truth has got its boots on". Many ruling class commentators expressed concern that the electoral lie was losing its grip. Younger people particularly saw that real politics wasn't about voting for Tweedledum or Tweedledee. Generations have grown up seeing the effects of the crisis being administered equally by the interchangeable Governments of Thatcher/Blair/Cameron/Clegg. After years of being ground down an increasing number of young people particularly in England and Wales were not being conned into the Polling Stations. The bosses see the need to shore up the political facade around their social and economic control.. The period of incredible similarity between the main parties had served them well for many years but now they needed a new ingredient. There is a major world religion in which a man known as JC is believed to have performed miracles. For those praying that the corpse of democratic illusions should rise from the dead, Jeremy Corbyn appeared as "the word made flesh". In recent years, the British political system has produced successful campaigns for supporting acts like the SNP and UKIP. Even the stale old Liberal Democrats were wheeled into centre-stage for 5 years. None of those novelty acts could supplant the tried and trusted Labour and Conservative double act. But the act had lost its spark. Nobody could tell the two apart. How could the farce be refreshed? Enter the Labourist Left! Inside the Labour Party there have always been left-wing factions calling for programmes based on state ownership and intervention. During the 1970s and early 1980s these factions were prominent with certain Labour Councils (for example Lambeth, Greater London and Liverpool) and leaders such as Ken Livingstone advocating such "left-wing" politics. One of the high-tide points was when the left's Tony Benn went very close to being elected as Deputy Leader in 1981. Over the last 20+ years many of the advocates of state interventionism have been marginalised or have chosen to organise outside the Labour Party. That includes the myriad of political factions and organisations that have emerged from the Trotskyist and Stalinist traditions. These have always passed off the call for state capitalism, organised by existing institutions with a left leadership, as being a vision of what they have mislabelled as socialism. A rump of that left wing has continued in the Parliamentary Labour Party organised in and around the Campaign Group. Their presence has always been tolerated by the Labour Party establishment. In fact, they were a vital part of keeping together the Labour Party "broad church" - a way of making sure that generations of emerging activists can be corralled into the Labourist prison, an entirely safe situation for the capitalist system. Following Ed Milliband's resignation the establishment initially allowed 3 candidates to emerge to replace him. These all stood somewhere in the "more of the same" mould, presenting varieties of "Austerity Lite". At the last minute the Labour MP's recognised that they needed to present an illusion of real choice by including Corbyn on the list of candidates. As we say on our Web site - Corbyn was intended to be an Aunt Sally radical to disappear in the first round or two of voting with a slap on the back and wishes for "Better luck next time". Unfortunately, for the Labour MPs and functionaries they had no feel for the fact that those eligible to vote did not want more of the same. They failed to see that many of the Labour Party members and those who wanted to buy a vote for £3 wanted to return to policies of state ownership and control with the post-1945 Government being their historic "shining light". They even misunderstood the degree that the Trade Union machines had become desperate enough to break the consensus amongst the Labour Movement establishment. Earlier this year we saw the same leftists who are now Corbyn's followers extolling the Greek Syriza government as their chosen model. As Syriza carried out their referendum manoeuvre on their way to becoming the established choice for imposing the severest possible austerity we warned - Electing a Government while all the capitalist economic, political and state structures remain intact can offer no way forward. The Corbynite Labour leadership has so far only abandoned in words rather than deeds. The leader has backed down on his left-wing symbolism around national Anthems, poppies and kissing parts of the monarch's anatomy to enter her Privy Council. His long time ally, John McDonnell has had to renounce any association with "unpatriotic" Irish Nationalism but has already made clear his acceptance of spending restriction inherited from Cameron-Osborne. Nevertheless the left-wing factions continue to be cheerleaders for the Labour leadership and all the evidence are that they will keep hold of that role. Whether as members of the Labour Party, as supposedly independent parties or often combining both tactics they see an opportunity to strengthen themselves and recruit. During those efforts the resurgent left will peddle myths about the possibility of left-wing elected government using state intervention to break the deathly grip of the world crisis. We have to explain that such arguments are a cruel deception. In Scotland, the SNP "surge" already anticipated the Corbyn trick to try and keep working people trapped in the democratic circus. The Scottish referendum and the SNP's pretence of being able to avoid austerity both allowed anillusion of choice. In both cases the supposed choices were complete trickery. An independent Scotland would be no way more favourable to workers than the United Kingdom. Llikewise the SNP's "anti-austerity" stance is mere posturing as they carry out spending cuts/restrictions at the Council and National level in Scotland.